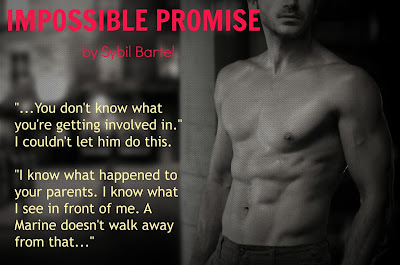 Welcome to our stop for IMPOSSIBLE PROMISE by Sybil Bartel hosted by Ink Slinger PR. Three years ago, Layna Blair listened in horror over a telephone line as her parents were murdered. When the killer said she was next, Layna panicked and made a deadly deal—his secret in exchange for her life. She’s paid the price every day since, becoming a prisoner in plain sight. Marine Sergeant Blaze Johnson offers Layna a way out—her freedom, his rules, no questions asked—and she takes it, despite knowing what her keepers do to people who get too close. She doesn’t know Blaze is fighting his own demons or that beneath his warrior façade is a man on the verge of breaking. Embarking on a wild revenge mission with Blaze and his smooth-talking best friend, Talon, is not what Layna signed on for. But attempting to run when Blaze has made no secret he intends to make her his is a reckless mistake. With the killer closing in, it’s up to Blaze to save them all—and to Layna to realize that she’s risked the one thing she can’t afford to lose. Well, well...what can I say about this book other than I absolutely loved it. OK, so here is the deal. I usually stick to genres such as fantasy, paranormal, and YA. 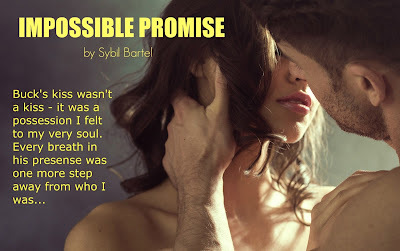 Impossible Promise falls in the genre of contemporary, new adult, romance. However, when I read the synopsis for this lovely and saw the cover I knew I had to give it a try. Best decision I’ve made in a while! 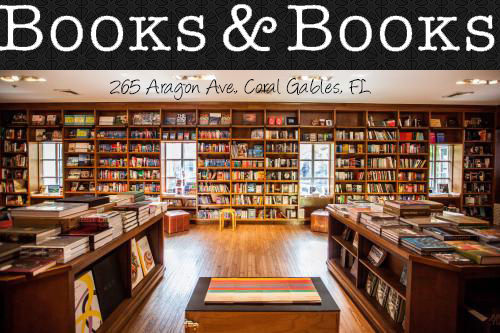 When the opening paragraph has a sentence such as “I didn’t see them but that didn’t mean they weren’t close” it usually means that the book will get really good, real quick. I flew through the first four chapters where the protagonists are introduced. We meet Layna Blair and marine Blaze Johnson when they awkwardly meet at a church during mass. From the first chapter the action starts and a fight breaks out as Blaze is protecting Layna from the thugs that have been watching her for the past three years. Layna heard her parents being murdered while she was on a phone call and since that moment her life has been nothing but a prison. The story continues as Blaze takes it on himself to protect Layna and help her to get her life back by getting rid of her threat, a man by the name of Miami. With the help of Blaze’s best friend Talon, the operation begins to take down Miami and give Layna her life back. As the story develops, Layna begins to have feeling for Blaze who also has feeling for her but tries to stay away because he wants to keep focus on protecting her. Blaze commutes a lot between Gainesville and Daytona leaving Layna with Talon for the majority of the time. And, you already know...that is just a recipe for disaster! I loved the main character Layna; she is feisty, sassy and has the mouth of a sailor. Of course I like Blaze Johnson simply because he is gorgeous, smart, sweet but he also has a temper. But, to be completely honest...I am team Talon all the way! A smart mouth, short fused temper, marine/surfer...I really can’t put him into words he is just perfect. He has been added to my list of book boyfriends and is ranking really high up on it. Although I enjoyed reading from Layna POV, I wished there were a couple of chapters from either Blaze’s or Talon’s POV just because there were some scenes that I would have liked to get a bit more insight on. Other than that, I loved everything about this book. It was fast paced, full of action and a great story line. 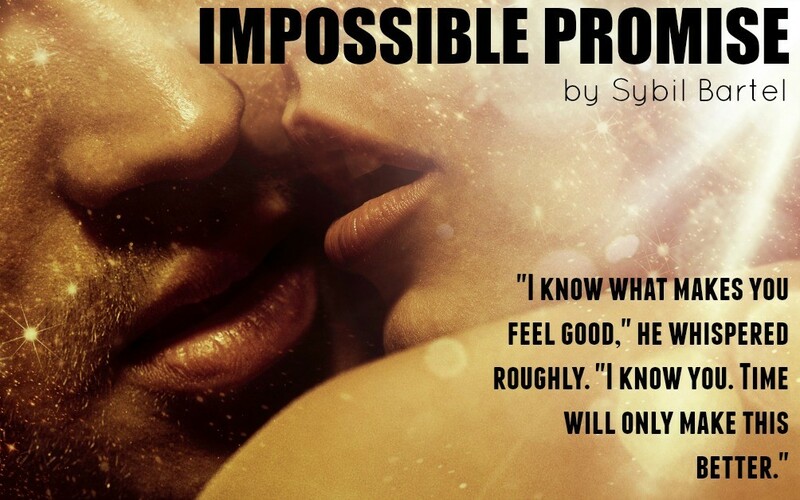 I CANNOT WAIT for the second book Impossible Choice to be released!!! 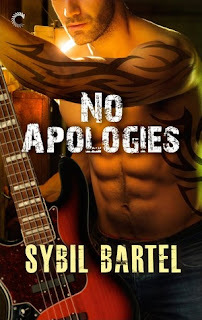 Other books by Sybil Bartel! Hard-edged rocker Graham Allen has it all. He's flush with cash from playing bass in a band by night and restoring classic cars by day. And there are plenty of women willing to share his bed for a night, complication-free. Perfect, because if there's anything he learned from his past, it was to never get attached—to anything. So when bartender Carly Sullivan flashes her innocent smile, Graham isn't prepared for what happens next. Two rules, that's all Graham has—never apologize and never fall in love. He knows Carly is everything he should avoid. Cheerful and sweet, she has "relationship" written all over her. But Graham can't stay away from her probing questions and concerned blue eyes. When Graham discovers Carly is hiding a crushing secret, he's prepared to risk it all. Until in one single moment, everything changes and Graham's past threatens to collide with his future. His life is crumbling down around him, and soon no apology in the world can save him. He should've known to walk away. 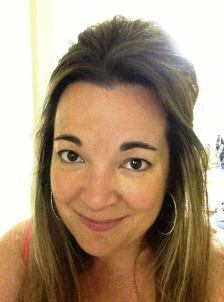 I grew up in Northern California with my head in a book and my feet in the sand. I dreamt of becoming a painter but the heady scent of libraries with their shelves full of books drew me into the world of storytelling. I love the New Adult genre, but really, any story about a love so desperately wrong and impossibly beautiful makes me swoon. Here are ten things you really want to know about me. What a great review! All these covers are so hot! Thanks for introducing me to Sybil's book. The book sounds really interesting! I loved the pictures with quotes. It was a nice touch. The heroine sounds really great, I love feisty, and it's not often that the girl is the one who swears like a sailor, anything that's a least a little different from the usual, appeals to me. I like a good hot mystery! The characters and story sound very good!